Premature babies face a number of challenges. In fact, 10 to 15 percent of those born at a weight of fewer than 1500 grams will develop a potentially fatal complication called necrotizing enterocolitis, a condition that causes damage to the lining of the intestines. Fortunately, studies have shown that this condition can often be avoided by using breast milk. For this reason, GBMC will soon add a Human Milk Bank to its Neonatal Intensive Care Unit (NICU). GBMC’s goal is to provide all babies younger than 30 weeks gestation or weighing less than 1,250 grams with an exclusive human milk diet if the parents approve, even if the milk does not come from the biological mother. As the infant grows, the breast milk will require fortification to ensure they are getting additional nutrients and more calories to continue to grow at the appropriate rate. GBMC will utilize human milk derived fortifiers, as well. Once babies reach about 1,800 grams, they can transition to premature formula if the mother does not intend to continue providing breast milk. . The milk will be supplied by licensed milk banking organizations in San Jose, California and Wake, North Carolina, which follow strict regulations put in place by the Human Milk Banking Association of America. All milk will be processed and tested to ensure product safety before it will be sent frozen to GBMC. “Maryland has stringent requirements regarding donating human tissue, and breast milk is considered a tissue. Parents can rest assured that the milk their babies receive is safe and healthy,” explains Dr. Birenbaum. According to Victor Khouzami, MD, Chairman of Obstetrics and Director of Women’s Services at GBMC, costs associated with having a Human Milk Bank are high, but the benefit to babies is worth it. “In the long term, very premature babies who have had the advantage of human milk are less likely to deal with future gastrointestinal issues and expensive, complex surgeries,” he says. 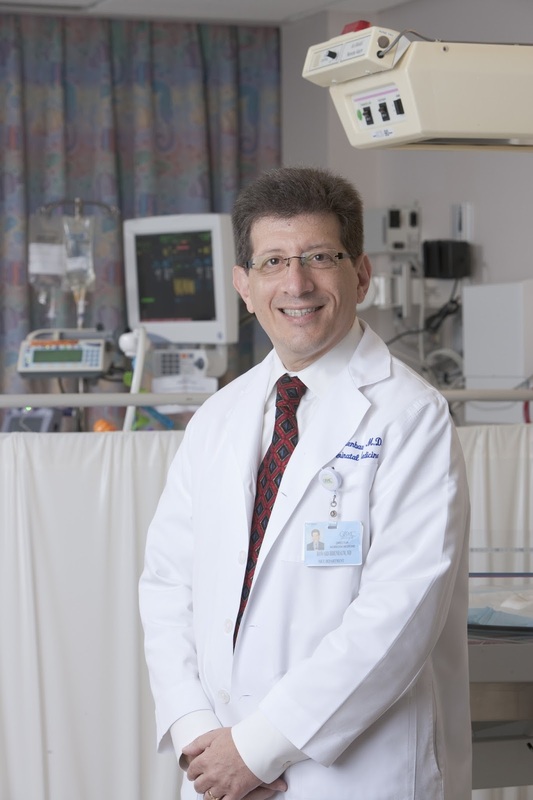 Dr. Khouzami adds that milk bank services are not yet covered by insurance in Maryland, but thanks to generous support from the Women’s Hospital Foundation, donations will cover the cost of breast milk for babies in need at GBMC. “We express our sincerest gratitude to the Women’s Board for making our Human Milk Bank possible. Having this service available here is the right thing to do for our most fragile babies,” says Dr. Khouzami. Additional funding is needed in order to support the Human Milk Bank. To make a donation, visit http://foundation.gbmc.org or call 443-849-2773. Please note: GBMC is not able to accept donations of breast milk itself. I found out about GBMC’s Comprehensive Obesity Management Program (COMP) through my insurance company and decided to check out the program. Living hours away on the Eastern Shore, I knew I wouldn’t be able to utilize all of the program’s helpful resources (such as the support groups), but the entire team impressed me, from the surgeons and dietitians to the patient services assistants. They seemed to have thought of everything to help their patients succeed. I chose to go through with gastric bypass surgery — a decision that changed my life. 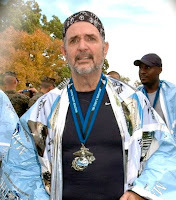 My surgeon, Babak Moeinolmolki, MD, performed successful laparoscopic surgery on July 2, 2008, and by the following March, I had trained for and completed a half-marathon! My asthma and sleep apnea were gone. I no longer needed many of the medications I used to depend on. Best of all, I was confident that I was going to be around for my grandchildren. GBMC’s COMP team saved my life, and they continue to support me and troubleshoot any weight or diet challenges I face. Although I have nerve damage from my chemotherapy that causes discomfort in my feet and still feel a little tired sometimes, I’m working hard to get back into the good physical condition I was in before cancer. Determined to keep pushing toward that “new normal” I enjoyed after my weight loss surgery, I’m training to do a full-Ironman in November. I continue to live the healthy lifestyle that I began after my bariatric surgery, focusing on nutrition and fitness. 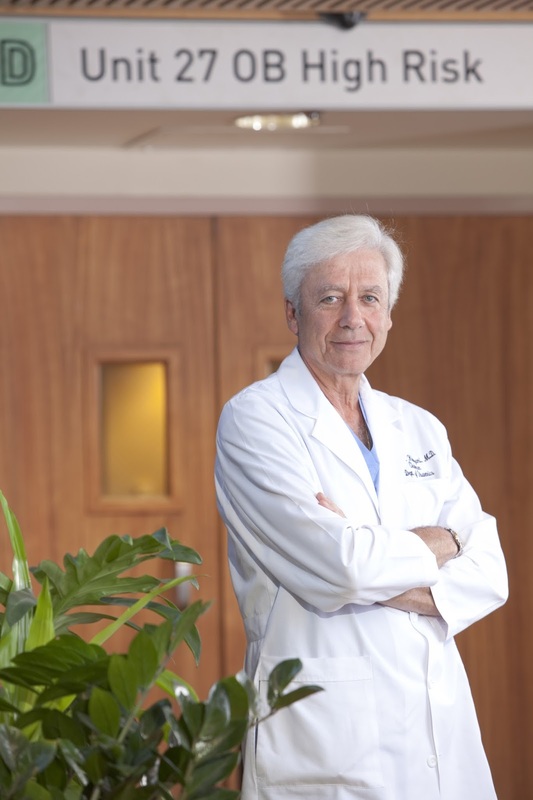 My GBMC physicians remain a powerful resource for me in my endeavors, and everyone who cared for me did a wonderful job explaining what to expect each step of the way. When I had my bariatric surgery, I was thankful to know I’d be here for my grandkids. Now, thanks to both Dr. Moeinolmolki and Dr. Apostolides, I’m hopeful that I’ll be here for my great-grandkids, too. Visit www.gbmc.org/weightloss, www.gbmc.org/colorectaloncology or call 443-849 GBMC (4262) to get additional information about the services offered by GBMC’s Comprehensive Obesity Management Program and Colorectal Oncology Department. 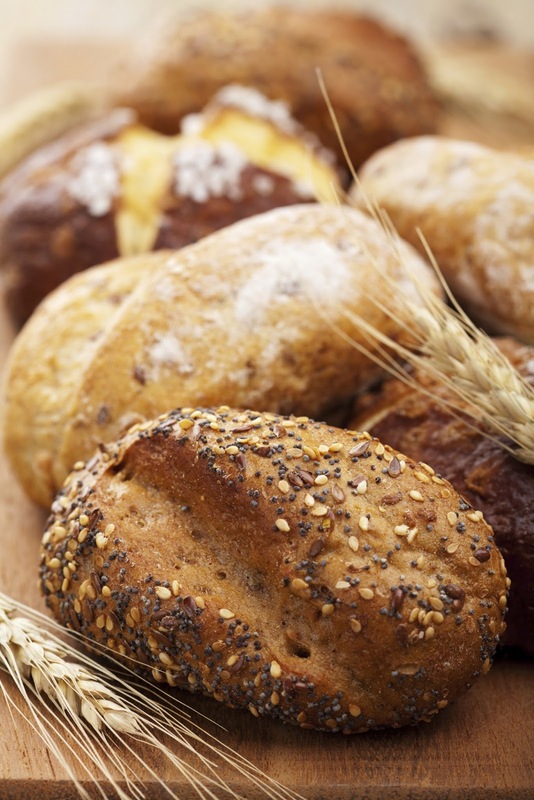 Should You Say Goodbye to Gluten? Gluten: it’s a protein found in grains like wheat, rye, barley and oats that’s getting a lot of attention these days. In fact, one of the latest trends in nutrition is the “gluten-free diet.” For some people, especially those with celiac disease, adopting a gluten-free diet is critical to their health. However, for others who digest gluten well and have no medical reason to avoid it, the diet might not offer any benefit at all. In individuals with celiac disease, gluten inflames the lining of the intestines, leading to issues with absorption and digestion. Because celiac brings with it potentially dangerous complications, it’s necessary for those suffering from it to completely eliminate gluten from their diet. It’s also possible for individuals to have gluten sensitivity, meaning they don’t have celiac disease, but gluten seems to cause digestive upset for an unknown reason. Even those with gluten sensitivity may be able to tolerate a certain amount of gluten, depending on their threshold. If you suspect you may have an issue with gluten, it is important that you consult your doctor before testing out a gluten-free diet. A simple blood test should first be performed to rule out the possibility of celiac disease. If you choose to eliminate gluten from your diet with no medical reason, be careful of the foods you consume. It’s not unheard of for so-called “healthier” food options to have some less-than-desirable qualities. Like foods that are labeled “fat free,” gluten-free products may be high in carbohydrates, sodium and sugar. They may also have a high fat content. Finally, as is always the case, take care to maintain a well balanced diet, even if you’ve said goodbye to gluten. This will help you avoid any nutritional deficiencies that could possibly be brought on by cutting foods with gluten from your repertoire. Brush cut sides of tomatoes and onion slices with 1 tablespoon oil. Arrange onion on grill rack and cook for 10 minutes. Turn onion over. Arrange tomatoes, cut sides down, on grill rack; cook onion and tomatoes for 10 minutes. Combine 2 tablespoons oil, bread, grilled vegetables, ½ cup water, 2 tablespoons lemon juice, ½ teaspoon salt (optional), black pepper and garlic in a blender. Process until smooth. 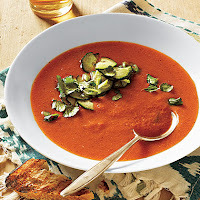 Combine the remaining 1 tablespoon olive oil, remaining 1 ½ teaspoons lemon juice, remaining ¼ teaspoon salt (optional), cucumber and remaining ingredients; toss. Ladle about ⅔ cup soup in each of 6 bowls, and top each serving with about ⅓ cup cucumber mixture. *To lower the sodium content, omit the ¾ teaspoon of kosher salt listed. When the soup is complete, add a small pinch to taste if necessary. 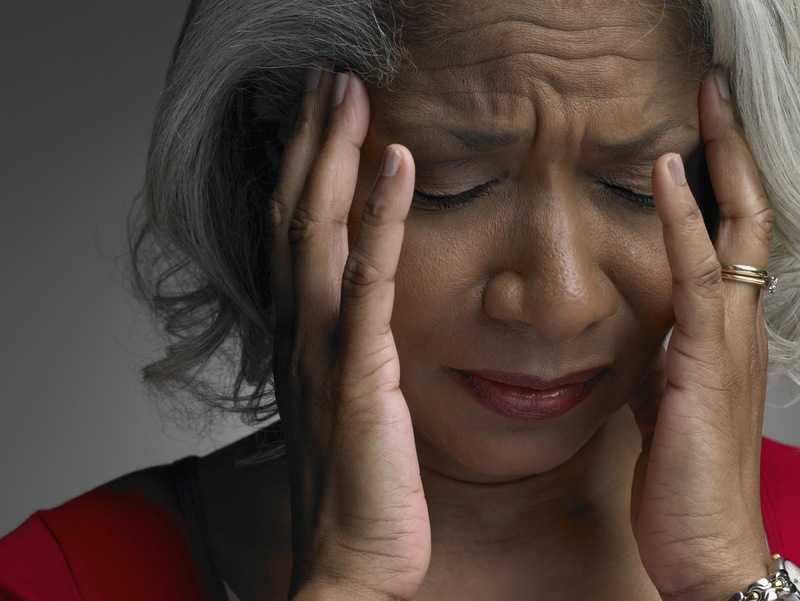 For many, headaches are more than just a nuisance. Whether the pain is a moderate ache or a severe throbbing, all over or localized to one area, headaches and the other symptoms they may cause (sensitivity to light, dizziness, nausea, fatigue, to name a few) can severely impair a person’s quality of life. Reduce emotional stress by learning relaxation skills like deep breathing and progressive muscle relaxation. Reduce physical stress by stretching periodically, especially after sitting for a long period of time. Also make sure you get enough sleep – 7 or 8 hours per night is best for most adults. Exercise regularly. It’s important to get at least 20 minutes of exercise three times a week. Keep a routine. Try to eat meals and snacks at approximately the same times every day. Quit smoking. Not only can smoking trigger a headache, but it can also make one worse. Need help quitting? GBMC offers American Lung Association Freedom from Smoking Classes. Learn what triggers your headaches by keeping a diary. When you know what causes your headaches, you can take avoidance measures in the future. If you have persistent headache pain that isn’t relieved by over-the-counter medications, or if it prevents you from taking part in normal daily activities, consider talking to a doctor. The physicians at the new GBMC Center for Neurology may be able to help! Dr. Michael Sellman, Dr. James Bernheimer and Dr. Arash Taavoni opened the 4,000-square-foot center on July 1, 2013 and are currently accepting new patients. The center is well equipped to care for patients with neurologic conditions such as headaches, stroke, epilepsy, carpal tunnel syndrome and pinched nerves in the neck or back. Many tests and some treatments can be performed within the office. Please call 443-849-4145 for more information or to schedule an appointment.